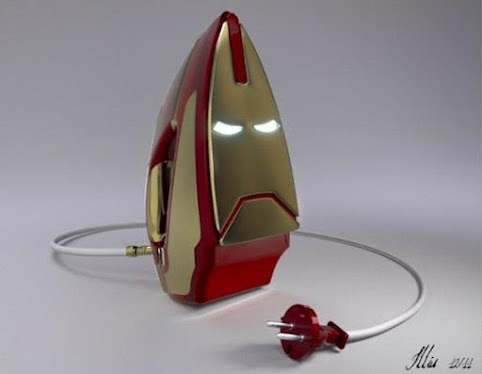 This is an iron, man. It was created by Tony Starch when he was ironing bored, because he had pressing concerns about crime. And for the nitpickers, yes, the power cord is European, not American. But it's still clever. What do you think of the iron? 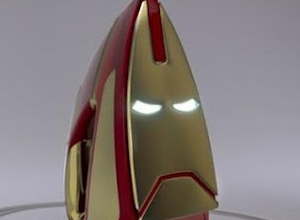 If Pixar Made "Iron Man"
I want one! I'd never use it, but it would make a great conversation piece. io9 featured an awesome bootleg cover for Game of Thrones season 1. It had Ned Stark wielding Thor's Hammer and Iron Man in the background. How awesome is that? *giggles* I love puns. Very nice. Thanks! Puns make some people a little steamed. For others, puns leave them flat. This is interesting. My brother will surely love this thing.